Q1 Could you tell us something about yourself and your artistic background please. Electronic music keeps me going for more than 15 years now. I’m based in the Berlin Techno scene ever since moving here in 2003. First I got involved in organizing parties around the “Rauchhaus” – the first squatted house in Berlin 40 years ago, now a legalized and self-organized youth project. As “Elektrofreaks” we did underground concerts and parties to raise money for communal living or in solidarity with leftist political organizing. This was the beginning of “DJ Zweifuss”. My musical style is constantly evolving, but still I keep that name. It means that music is for dancing. Q2 Do you work on your own, what collaborations do you participate in (label, musical partners, etc)? Q3 Something you want to share about your local scene, some insights or recommendations? Well, I already mentioned some local networks. Of course there is so much more going on here, a variety of scenes, just come and discover by yourself! I prefer to go to parties on the weekdays, like the M.I.K.Z. on Tuesdays. 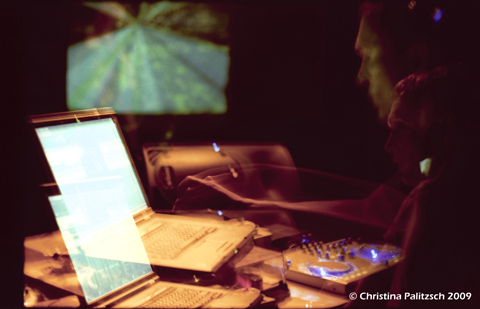 And there are good concerts of electroacoustic music in little venues around Neukölln – sometimes noisy, but very inspiring. It’s fascinating to hear musicians create something new and unique, instead of reproducing an established genre. Q4 What equipment do you use, what is your work process? Q5 What are your next gigs and where can we preview your works online? Q6 Any plans for the future you want to announce here…? Also I’m in the situation now to spend more time on music. First step will be to seriously start working with Live, a software by Ableton. I intend to perform and produce own music in the future. Q7 How about some namedropping, do you want to recommend some artists that inspire you?